Award-winning fashion designer Puey Quinones and his dresses make regular appearances on red carpet events and celebrity weddings. For the past four years, the petite gay 31-year-old has been leading a double life. 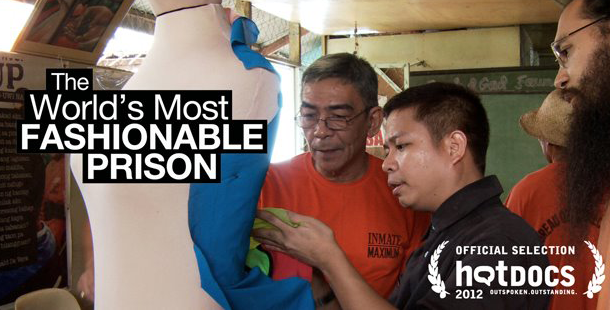 Away from the celebrity and public adoration, he escapes weekly to the most unlikely venue – the largest maximum security prison in the Philippines. Run by gangs and home to over 12,000 inmates convicted for the most vicious crimes, this is where Puey conducts his weekly fashion workshops. Flamboyant, gay and witty, Puey is the stereotypical fashion designer on the surface. As the only son of a retired policeman, it seems ironic that he now enjoys an unlikely bond with criminals serving time. In autumn 2011, he will be their mentor as the inmates work in teams to compete in a month-long fashion competition inspired by U.S. reality series Project Runway. It all culminates in the most spectacular event of the year - a runway show with a catwalk, professional models, and a panel of fashion industry judges, right in the heart of the prison. The World's Most Fashionable Prison, coming soon.